Thousands more local police officers in Greater Manchester are set to be axed, Labour said this week today as it launches a campaign to keep bobbies on the beat and protect communities. This week, Shadow Home Secretary Andy Burnham forced a Commons vote aimed at halting Government plans to cut Police budgets by up to 25 per cent over the next five years. 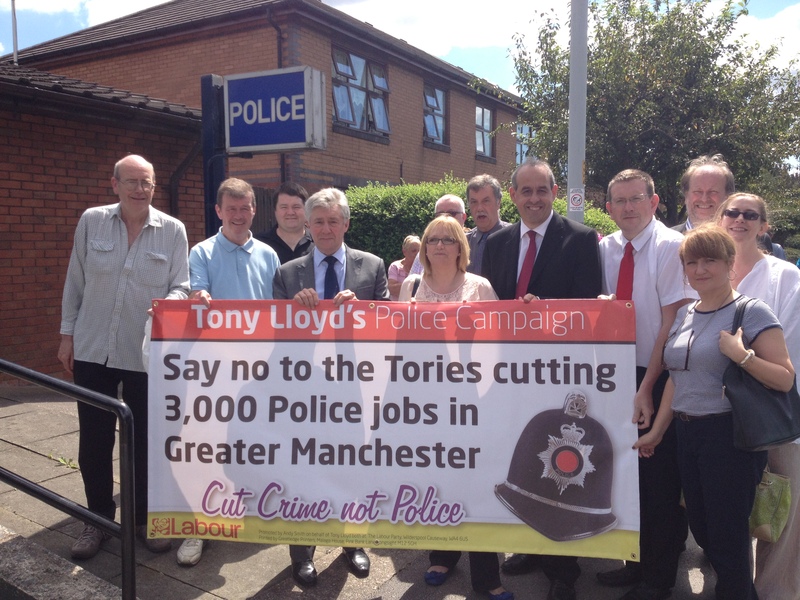 Labour believes any cuts in double figures will have damaging consequences for policing and public safety. A national petition sponsored by the former Commissioner of the Metropolitan Police, crossbench peer Lord John Stevens, aims to build cross-party and cross-community support for the campaign. The country’s former most senior police officer calls on Ministers to “drop plans for drastic cuts”, “listen to the public and police officers” and also warns of the “end of neighbourhood policing”. Labour’s campaign aims to get 100,000 people on the petition before George Osborne stands up to give his Spending Review later this month. The Greater Manchester force lost 1,445 police officers and 37 Police Community Support Officers (PSCOs) between 2010 and 2015. Labour believes that while efficiency savings below 10 per cent can be achieved, a Police budget cut in double figures puts the public at risk. New figures show that a cut of 25 per cent, which the Government talked about, could result in a further reduction of 1,300 officers in Greater Manchester’s force and over 20,000 across the country. In Greater Manchester, violent crime has already risen by 39 per cent, while the force saw soaring rates of cybercrime, sexual crimes and child sexual exploitation. “If Ministers cut the Police on the scale proposed, they will be putting public safety at risk and will go down as the Government that took thousands of bobbies off the beat. “I want as many people as possible in our area to sign this petition to protect the local police force and I’m calling on MPs from all parties to join this campaign too. The consequences of Tory cuts are already being felt – we cannot afford to lose even more officers. “We call on the Government to listen to the public and police officers, drop plans for drastic cuts and protect visible, locally-responsive neighbourhood policing.